Site-specific · Colour · Silent · 60:00 min. 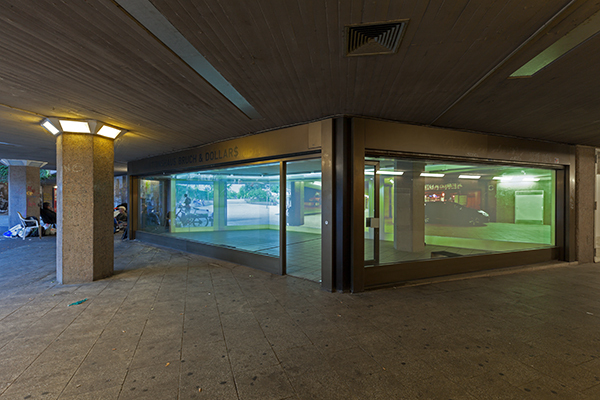 undisclosed is a site-specific video installation created at the Bruch & Dallas gallery at Ebertplatz Square in Cologne. 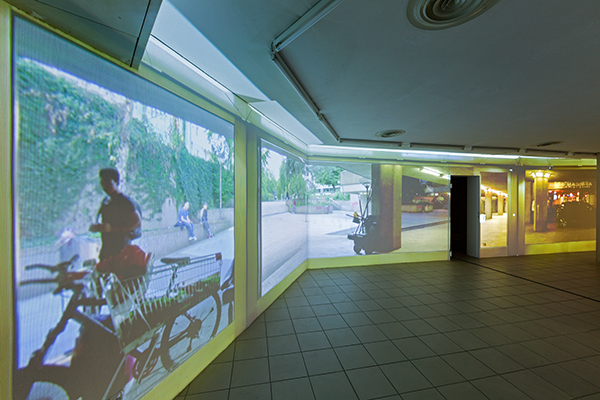 For the installation, a full-format panorama of the square was projected onto the back wall of the former shop premises. 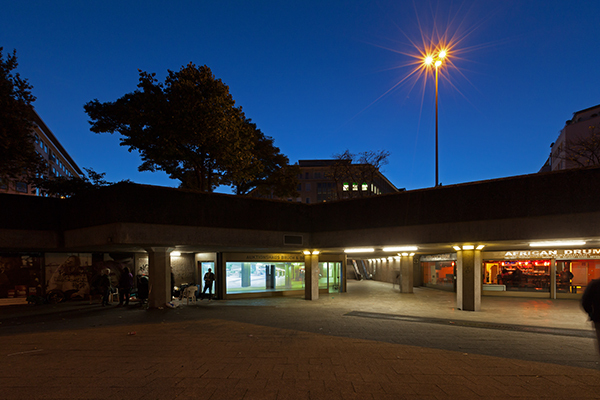 The projection was made up of four one-hour videos each filmed at a different time of the day or night. Screened simultaneously and in direct juxtaposition to one another, these staggered time interval recordings brought together divergent protagonists and atmospheres from parallel worlds or alternative realities in existence around the square. 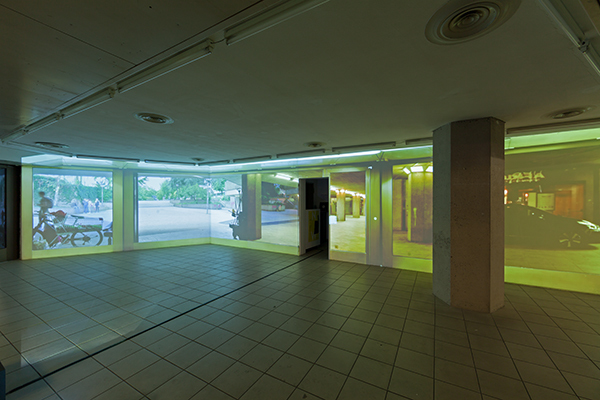 Filmed from inside the exhibition space through the glass panes, the frames of the windows remained an evident and stabilizing part of the panorama. 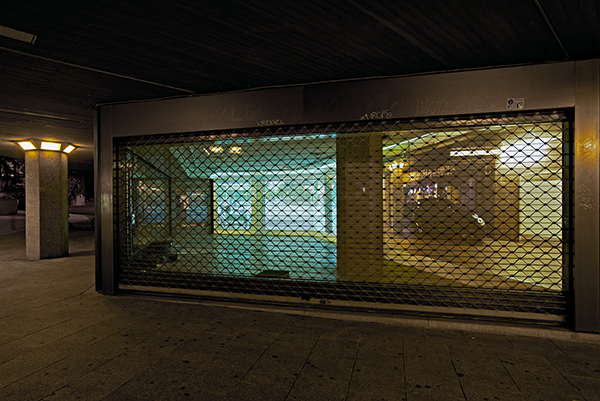 The installation gave the impression that the entire window front was mirrored on the back wall of the former shop and drew the viewer’s gaze into the depths of its interior. 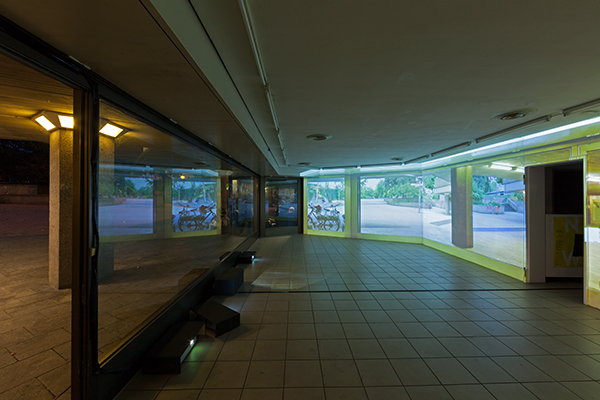 Observing the installation from outside accentuated an inherent visual irritation: Depending on the brightness of the surroundings, the projected images of the square overlapped to different extents with actual reflections on the shop windows. Whereas the projections were barely visible by full day light, at the fall of night they successively overlaid the progressively diminishing reflections and, a short time later, set the by then brightly lit gallery free from the darkness of its surrounds.